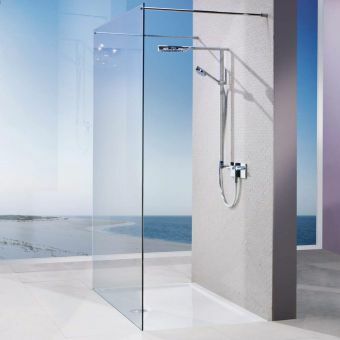 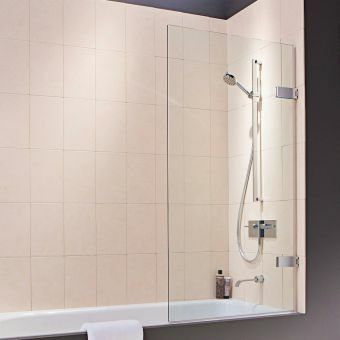 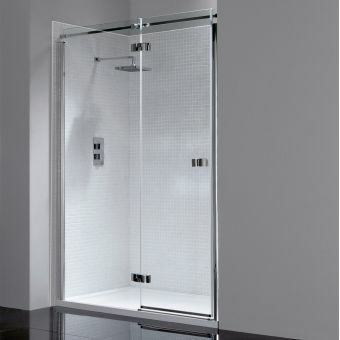 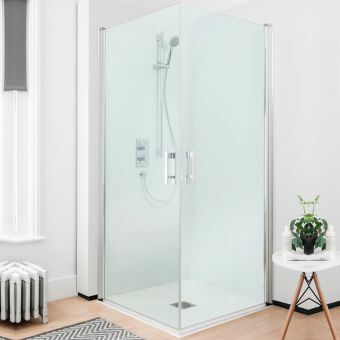 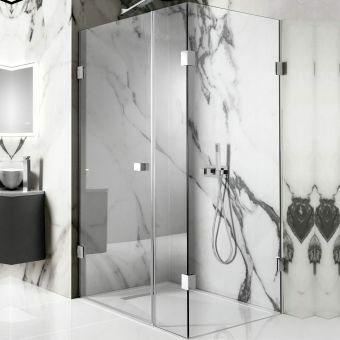 If you have the luxury of allowing for a huge master shower in your bathroom or en-suite, this hinged inline enclosure from Matki’s EauZone Plus range will probably fit the bill. 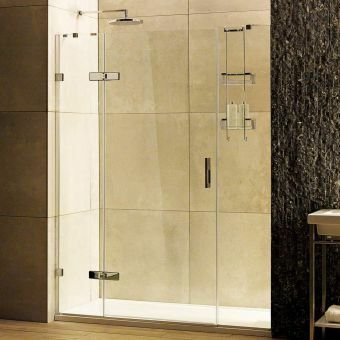 With all fittings being made from solid brass coated in highly polished flawless chrome, the elegant sculpted lines of this graceful enclosure will seek to complement and enhance any chrome fixings elsewhere in the bathroom. 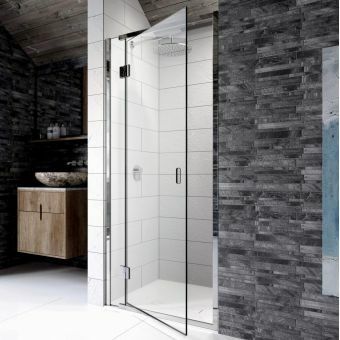 With no less than 19 sizes to choose from set apart in 50mm widths from 1000 right up to 1900mm, the doors are fixed using Matki’s patented hinge system guaranteeing no movement will take place over time and come in generous widths of 600, 700 or 800mm depending on the overall width chosen. 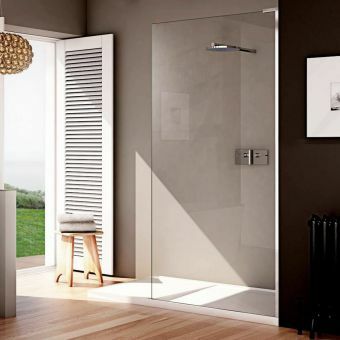 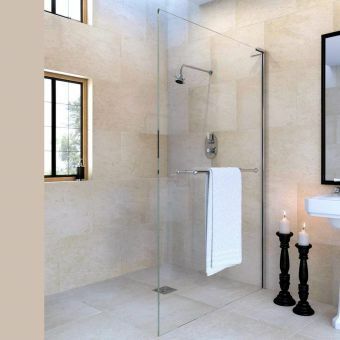 With Glass Guard being included as standard, this extremely durable glass finish prevents dirt building up and allows water to slide straight off meaning less cleaning and a better-looking screen for longer.